Many people find aquascaping and fish keeping as being a beautiful and enjoyable hobby; however, common negative feedback on the hobby is that purchasing a tank, fish, and corresponding accessories or tools can be quite expensive. Developing your aquarium and equipment takes time and commitment, which to the novice aquarist may seem expensive in the early phases. 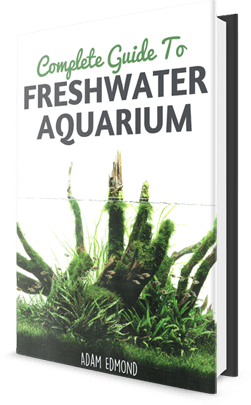 To alleviate these financial concerns, it is very well accepted to start small since, as a result, the use of small fish tanks is a great way to be introduced to the aquarium hobby without breaking the bank. Smaller fish tanks are usually categorized between 1 and 10-gallon fish tanks. This is not to be confused with a fish bowl, which would not support a dynamic environment with more than a single fish. 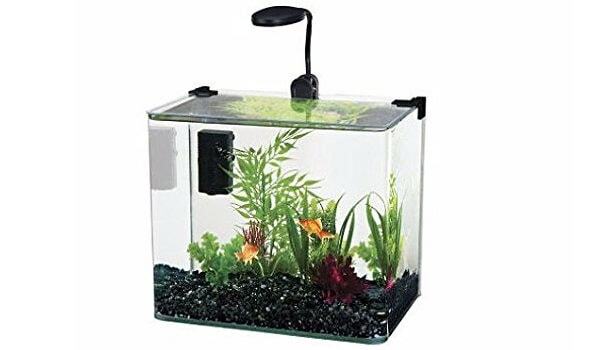 In addition, a fish bowl would also have difficulty supporting plant life. In the context of a Nano fish tank or a small fish tank, the most important characteristics to keep in mind are the surface area of the water and the number of fish you are intending to keep in the tank itself. The surface area of the fish tank is vital to providing oxygen to the living elements of your aquascape. The surface should be recycled using a small power source or corner filter. This will cycle oxygen throughout the entire design and support a healthy, thriving environment. The primary limitation in your small fish tank will be the number of fish you are planning to keep in your aquascape. Since the tank is smaller, it is much more limited and, unfortunately, not suited to a community tank, therefore having numerous types of species is not the best idea when choosing to use a small fish tank. Fish have a tendency to be territorial and as a result nurturing them in such a small environment could have negative side effects. Overall, the size of the tank does create limitation in the design of your aquarium. However, the goal in using a small fish tank should not be to create a dynamic and rich aquascape, but to sustain a few species in a healthy and beautiful design that is also functional. When creating your aquarium, there are many factors to consider, yet the choice of selecting a small or large fish tank will impact the overall design of your aquarium permanently. While both provide unique value and traits that should be considered in the early parts of the design process, the small fish tank does present numerous benefits in comparison to a large fish tank. Larger fish tanks have a tendency to require greater maintenance, noise, and price. The benefit of choosing a smaller tank enables the aquarist to create an aquascape that doesn’t incur regular maintenance such as gravel cleaning, CO2 checks, and more. Simple water recycling on an occasional basis will provide the maintenance a small tank needs. In addition, the minimal design of a smaller tank will also create a less noisy aquarium. Finally, the overall price tag of a small fish tank is easier on the bank account than a larger one. The amount of fish, equipment, and time is significantly less than its larger counterparts. On the other side of the spectrum, large fish tanks do provide greater variety and challenge in the implementation of your aquascape. The opportunity to create a unique environment and to design a more robust aquarium is much greater the larger your tank. In addition, using equipment such as filters or CO2 injectors also reduces the amount of maintenance in the long term. The choice and route taken in managing your aquarium is up to the aquarist. Be mindful of the amount of fish you use in your aquarium. Fish are territorial and negative repercussions are likely if you choose to have too many species in such a confined space. Do not overfeed your fish! Doing so will pollute the limited water supply in your tank and it will result in an unhealthy environment for your inhabitants. Schedule regular maintenance and water changes where you can recycle your water and sustain a clean healthy environment. This is my first aquarium. I received it as a gift and am looking forward to setting it up. Many years ago we had a 2 gallon fish bowl, but that is the extent of my experience. According to the shipping container of the 10 gallon aquarium I can have 4 to 8 tropical fish. I am thinking 4. Due to my physical limitations I need the aquarium to be LOW MAINTENANCE. Should I stock the tank with 4 of the same breed of fish? Is there a scavenger fish that I could/should include in order to help with maintaining a clean environment for the fish? I would appreciate advice from those of you who are experienced in taking care of a small aquarium. Thank you in advance for your helpful advice.